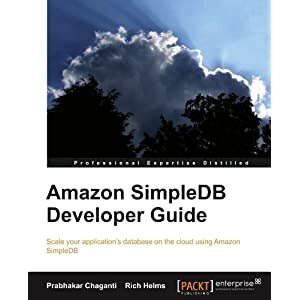 I have reviewed the book, Amazon SimpleDB Developer Guide by PACKT publisher, which got released last month. Amazon SimpleDB is a schema-less, highly scalable datastore which provides eventual consistency. This book introduces developer’s to SimpleDB API & libraries in different languages, Java, PHP & Python. It discusses the differences between relational databases and SimpleDB, and how to deal with the No SQL, No Schema paradigm. It also dwells into profiling requests based on the execution times and box usage statistics, and adding cache layers using memcached.